I really enjoyed reading about your surprise Anniversary party. A belated happy 40th to your parents. 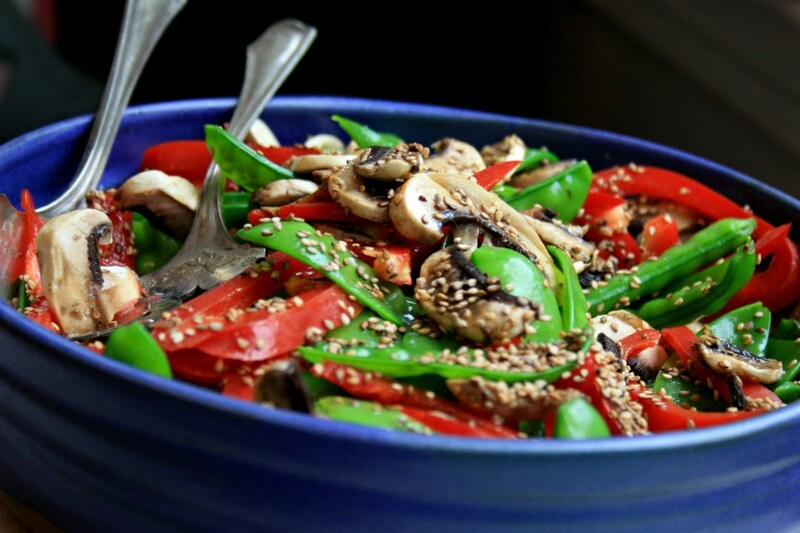 I have just copied your recipe for your snow pea and red pepper salad. It looks awesome and is a really nice change from the same-old same-old. 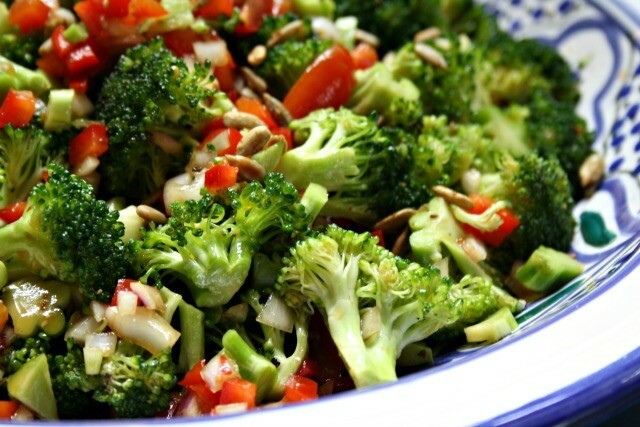 Thanks Dianne, I’m with you — it’s good to change up your salads from time to time. 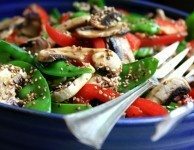 Yumm, that sounds great, and blanching the snow peas makes lots of sense, why didn’t I think of that?!! 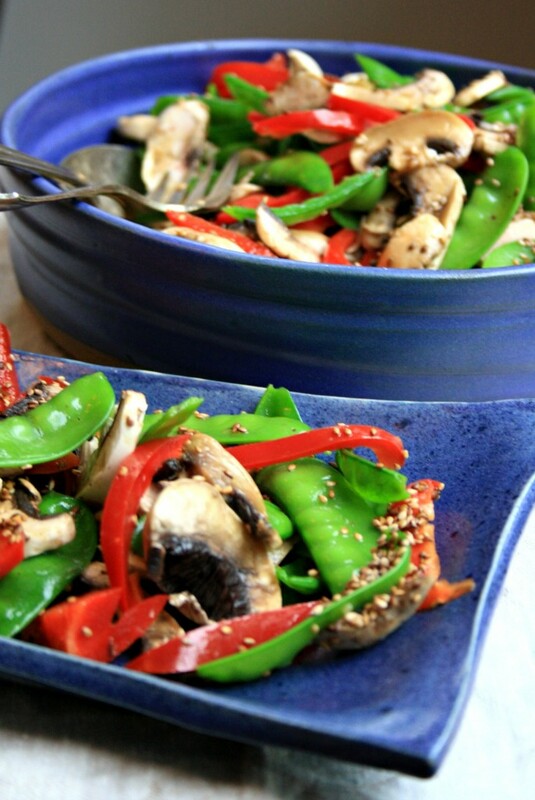 Love snow peas, red peppers, mushrooms, and sesame seeds. I need to try the walnut oil too. Lots of things for my next shopping list. 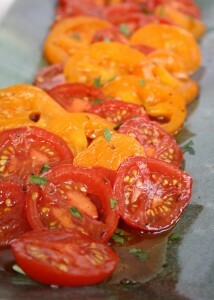 Hi Gladys, I don’t often take the time to blanch things but it’s a great step with this salad. It means that the peas have just a little crunch and they stay a lovely bright green. Enjoy! 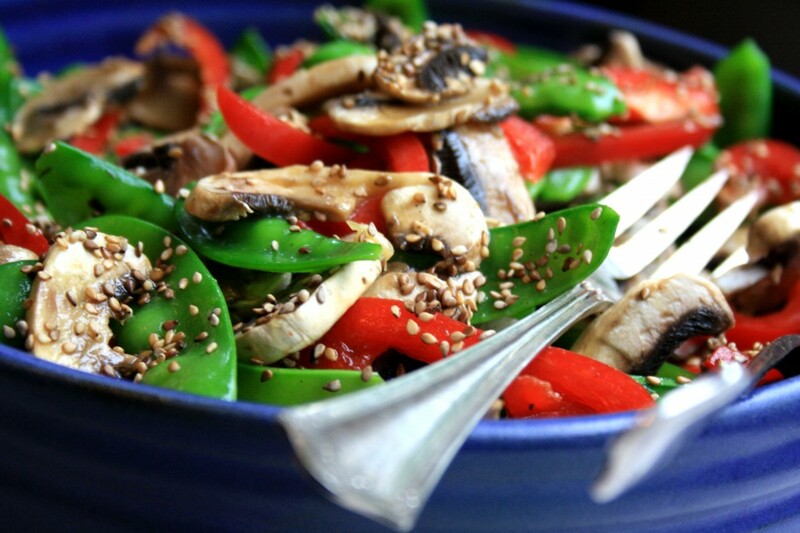 Hi Linda, I hope you enjoy the snow pea salad — It’s a lovely change from green salad and goes with everything.